Your home and business can be monitored to protect against theft and losses due to fire, freeze, and water damage. In addition, your family can be safer with early detection of smoke, carbon monoxide or propane leaks. 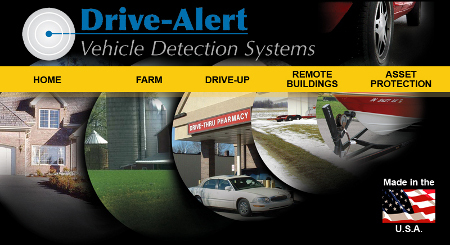 Alarm Monitoring from just $29.99 per month! Satanta Electronics provides professional installation and service on a full line of Honeywell Ademco security systems. From the standard Vista panels to the Lynx 5200 and 7000 series, we can install a system custom built to match your building and specific requirements. The Total Connect service package allows you to monitor and control your alarm system from anywhere, over the internet or over the cellular network. With Z-Wave enabled controllers including the Lynx series and the Tuxedo Touch keypads, you can also take control of your home. Z-Wave controllers can operate lights, door locks, thermostats, garage doors, water valves, and many other items with Z-Wave communicators built in. 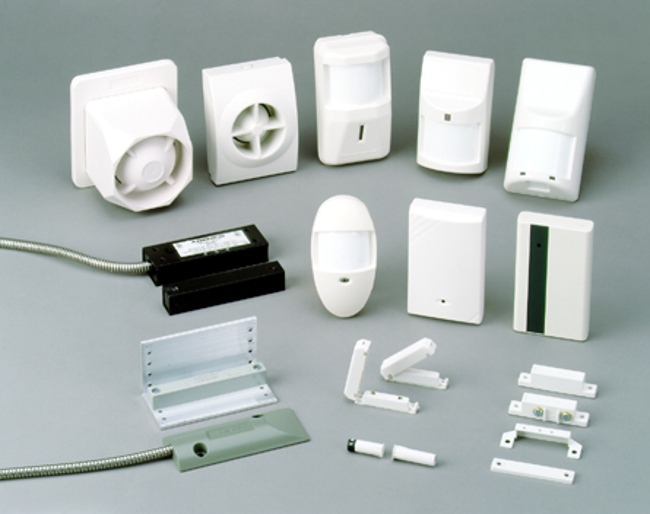 These are a few of the variety of sensors and detectors from Honeywell we install to create a custom alarm system. Standard detectors include door contacts, glassbreak detectors, motion detectors, water leak and freeze detectors. Life safety devices such as smoke, carbon monoxide, and propane detectors provide and even greater level of security for your home or business. We employ both wired and wireless detectors in the design of our systems. 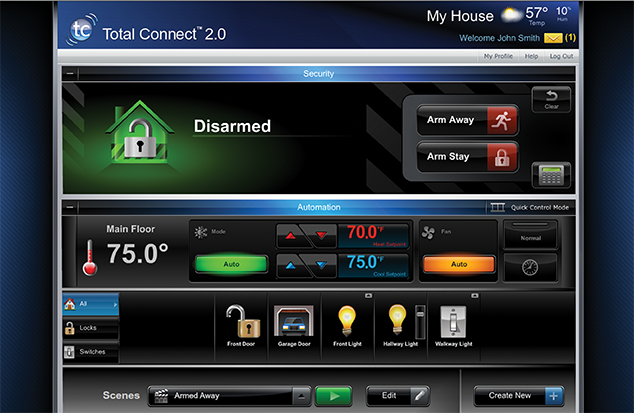 Satanta Electronics specializes in the creation of integrated "smart" security systems. The integration comes with the application of specialty sensors, surveillance systems, smart security systems, and notification over cellular and internet connections. Employing such detectors the pictured "Driveway Alert", we can use the detection of a vehicle in your driveway to initiate recording from a high definition camera. Simultaneously, a spoken announcement would be heard from the touchscreen keypad such as the Tuxedo Touch or Lynx 7000 and and email and text message would arrive at your computer or smartphone. 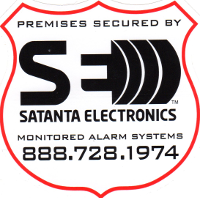 Satanta Electronics has been providing professional local service since 1974. Our products are carefully selected to be the most reliable available. We service all our installations. You can be sure that those products we recommend come from companies with a long track record of dependability and excellent technical support. In the 42 years we've been building our reputation, we've learned to partner with those companies that value long-term reliability over short-term profits. Custom installation also means we use "best-in-class" devices for each specific application. From the door contact to the siren, there is never just one version of any device that we bring to the job. Our expanded inventory means your system will include sensors and contacts that were specifically designed for the doors, windows, and even the environment where they are to be installed.